Christmas may be a few weeks off yet, but it is never too early to start thinking about gifts for those you love! This year, why not give a gift that makes a real difference.. a gift of life to some of the neediest children in the world. By purchasing a gift from the list below, you are providing a child in Uganda with a gift of hope and love. The gift you purchase will make a huge difference in the lives of children in Uganda who otherwise would go without. Why not help a hungry child? At least 9 million Ugandans are food insecure and 5.8 million are malnourished. 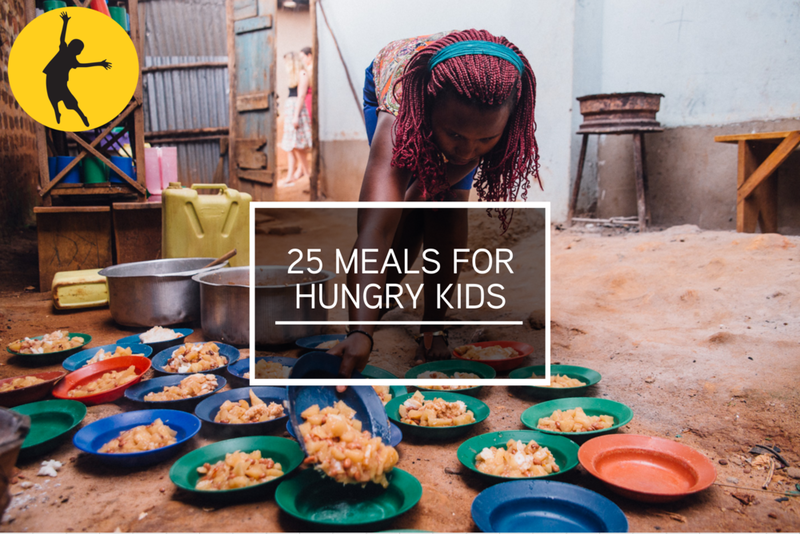 Providing a hot meal for a child helps make a huge difference in overcoming these statistics. Providing a child with exercise books, pens and pencils makes a huge difference to children who could not participate in school without these basic materials. Help a teenager who is going through a difficult situation to get the support they need through providing them with a vital counselling session. Malaria is one of the biggest killers of children in Uganda- simply purchasing this gift can literally help to save a life. Each gift card is just £5 each, and 100% of the money from your purchase will go directly to buying what it says it is for! To purchase your Alternative Gift Card for yourself or for a friend, please click here. You will receive a A6 gift card (148 x 105 mm) with your choice of gift printed on high quality 350gsm Silk card. Any questions or for more information, please feel free to get in touch. Older PostWinter Ball 2017 prizes!